What does a Residential Interior Designer do? 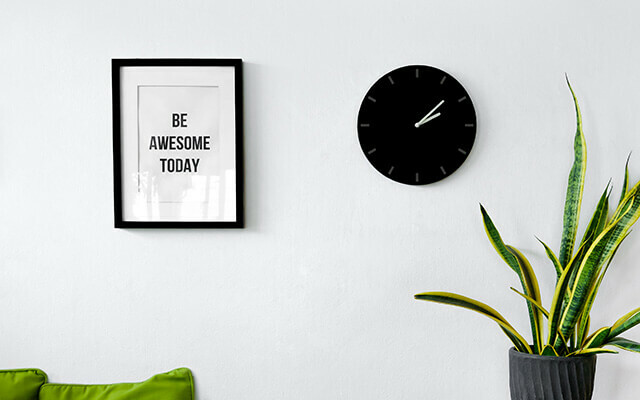 A career as a Residential Interior Designer is incredibly rewarding as it is all about creating functional and beautiful interior spaces that people will love to live in. It is a multi-faceted job that may involves functions as diverse as the preparation of layouts for interior spaces, cabinetry design and product specification. As a specialist with broad product knowledge and understanding of the building process generally, an Interior Designer works closely with clients to select complementary finishes and furnishings that result in gorgeous interiors. 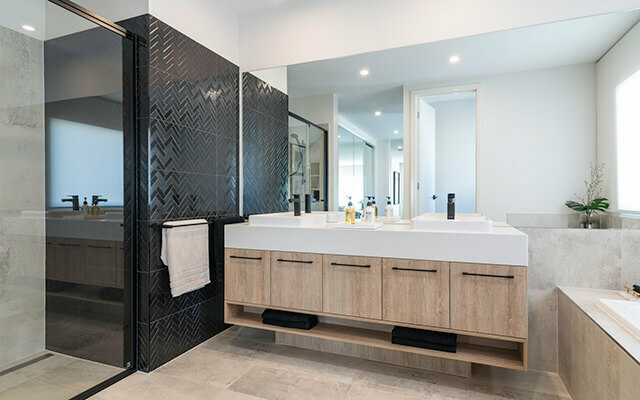 It’s important to stay abreast of trends and products and work closely with builders or trades undertaking the work to ensure that concepts are executed correctly. Spending time with a client to identify their requirements, lifestyle, style preferences and budget is a vital part of the process in order to put together an initial project concept that will be further developed following feedback from the client. Creating a successful interior is not just about the way a room looks, it is also important to consider function of a space. Elements such as special planning, traffic flow, comfort and style also need to be considered. Dennis Family Homes has a team of Colour Consultants with extensive product knowledge and experience. Our team will help customers make decisions for their new home’s fixtures and finishes and create the look they want within their budget. They spend time with each client to create a cohesive interior that reflects the owner’s own tastes and furnishing style. Our Colour Consultants understand that selecting finishes can be an overwhelming process and take the time to put clients at ease and make the process as streamlined as possible. A carefully considered colour palette, along with good quality and efficient fittings and finishes, will deliver a space that is beautiful, functional and will stand the test of time. How does Interior Design fit into the building process? Often, Interior Designers are involved in the building process from beginning to end. They work closely with architects and building designers in the development of a new home design and, later, with the builders during the construction phase. Also, during the pre-construction and construction phase, the Interior Designer is responsible for supplying the builder with comprehensive lists of specified materials and finishes, that builders rely on to ensure a streamlined construction process. They also work with designers and builders to solve issues that may arise on site in relation to the fit out. How has technology affected Interior Design? In terms of the manufacturing process, materials can now be updated and produced more easily and cost effectively than ever before. Advancements in digital printing on cabinetry and flooring laminates has resulted in affordable products that appear very realistic. The development of social media has led to a massive increase in public engagement which has resulted in the rapid acceleration of trends. We have the ability to view properties around the world in an instant and see new products as soon as they are released. The excitement about being on trend leads to greater demand for up-to-date products, which in turn drives variety in the marketplace. People are far better informed as a result of social media activity and TV shows like ‘The Block’ and ‘House Rules’ have generated massive interest in interior design and decoration. I believe people now recognise the value in employing a professional to create a well-presented home. In your opinion, what’s the biggest misconception people have when building a home? I don’t think a lot of people realise how extensive the process of building a home actually is. There is so much that happens behind the scenes before a job can go to site and sometimes things move more slowly than we would like. That’s especially the case in the current environment when a high level of domestic construction activity puts pressure on trades and suppliers. The reality is that on occasions demand simply exceeds supply. Is there something you would like to include if you were building a new home? Energy efficiency is an important consideration, along with northern orientation for the main living areas. From a design perspective, I love large windows that bring light into a home, they would be at the top of my list. How about design features that will stand the test of time? Good building design results in a home that will never go out of style and, as we become increasingly environmentally conscious, I believe people have come to understand that incorporating energy efficient features like good orientation, cross-ventilation, double glazing, low energy lighting and solar energy all make homes more pleasant to live in and ultimately, save people money. In terms of interior design, it’s important to make sure that a home will accommodate the long term needs of its owners. For example, a young couple who are planning to start a family should ideally build a home that will provide enough bedrooms and living spaces to meet their future needs. Similarly, an older couple building a home that they plan to retire in would be wise to consider features that will make life easier later on. Styles and trends will always change but keeping fixed materials and hard surfaces fairly neutral is a simple way to allow for changing trends. This means avoiding strong patterns and bold colours in surfaces that are not easy to change. Most of us tend not to replace floor tiles or renovate our bathrooms often so these finishes should be kept fairly neutral or classic. I advise clients who love pattern and colour, to use it on painted surfaces, in furnishings and décor items that are easy to change. However, new home builders needn’t avoid all trends. While it falls into the category of a ‘hard surface’, the kitchen splashback provides an opportunity to create a statement that is relatively simple to change later. It’s quite easy and cost effective to replace, and it doesn’t involve a whole room reno, making it a great location for a statement. What would you recommend people look for in a home builder? They need to select a builder that will suit them and their specific requirements. They should ask a lot of questions up front about the building process, what the build time is and whether or not specific needs can be catered for, like making changes to the design, etc. 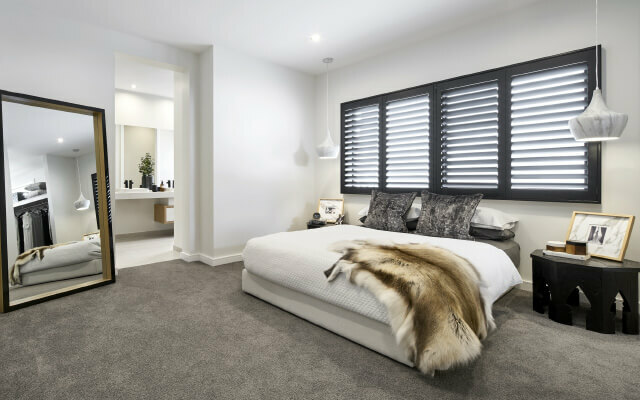 Some builders will customise a home design to suit the buyer, but that usually comes at a cost. 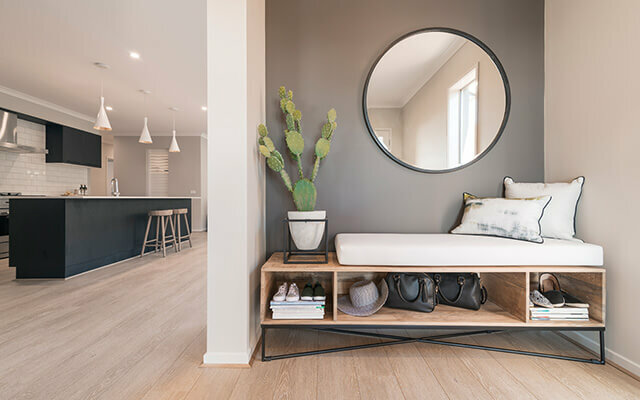 In particular, prospective buyers should look at the quality of construction in the display homes as that is what they can reasonably expect in their build. 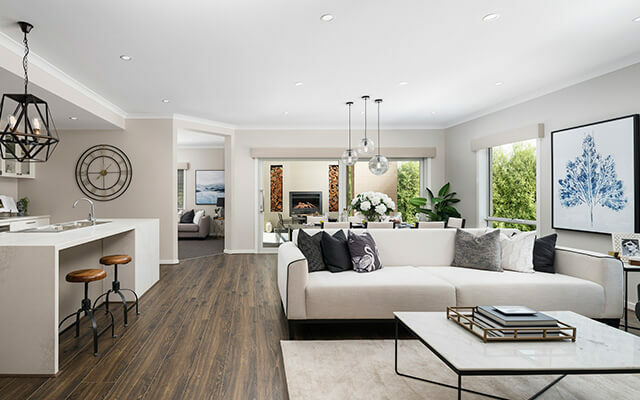 Dennis Family Homes has over eighty display homes throughout Victoria that are open every day for people to visit. Go to https://www.dennisfamily.com.au/ to find a Dennis Family Homes display near you.